DOWNLOAD – You can play VP for Winners! as a game, use it as a tutorial, create strategies, focus on problem areas, check unusual hands, calculate bankroll requirements, figure slot club paybacks, check expected value, and much much more. Please note: This product is a Download. 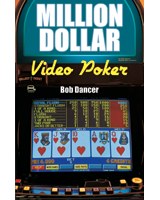 Bob Dancer, America’s top video poker expert, has designed the latest and greatest video poker software to do everything but pay you money. You can play VP for Winners! 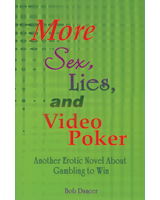 as a game, use it as a tutorial, create strategies, focus on problem areas, check unusual hands, calculate bankroll requirements, figure slot club paybacks, check expected value, and much much more. Learn at home, practicing on the exact video poker screens you find in the casino, including games never before available in video poker software (Super Times Pay, Hundred Play, and Multi-Strike), then win at the casino! The program also contains video introductions and comprehensive help from Bob Dancer. Because Video Poker for Winners! corrects you when you’re wrong, this software programs you to win. 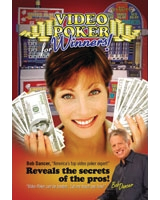 It’s the easiest way to master video poker. 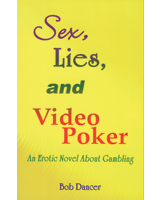 For a back-up CD, available only to customers who have purchased the downloadable version of Video Poker for Winners! click here. This is used to restore the program on the same machine upon which you originally activated the software.